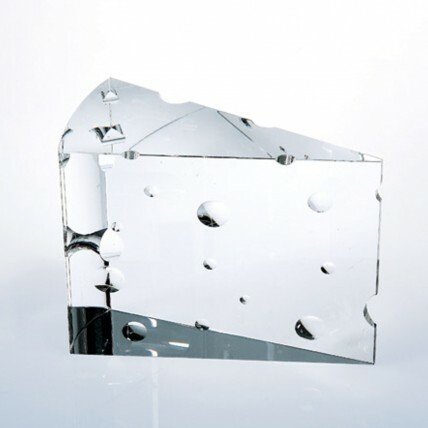 If you are looking for a humorous award perfect for your dedicated employer or employee, the Swiss Cheese Block Crystal Award is your solution! 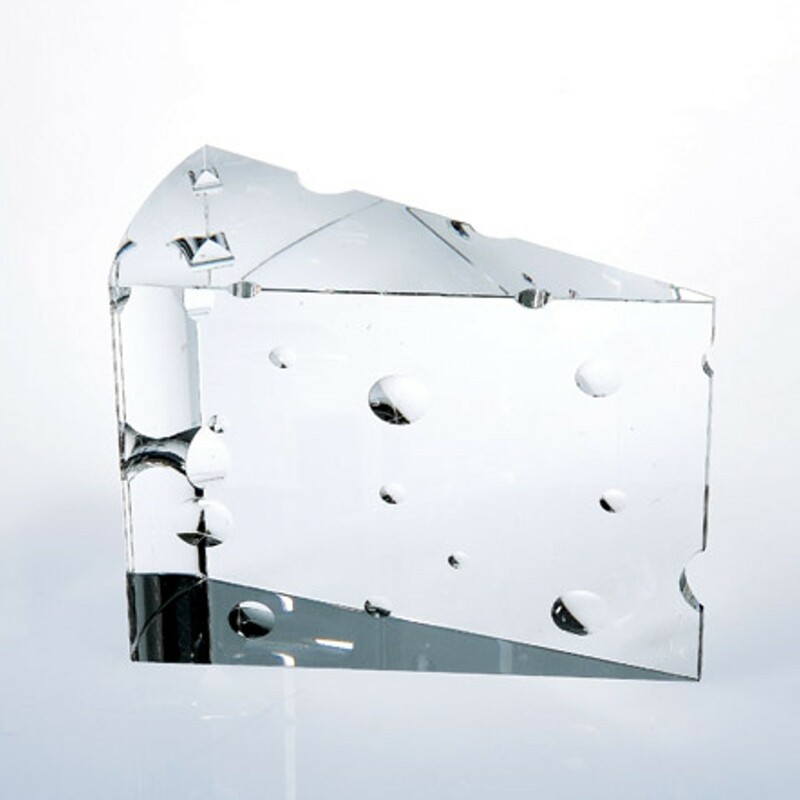 Measuring 5 inches wide and 4 inches tall, this dimpled solid crystal cheese block features space for your complimentary etched logo and message. Perfect for the big cheese of the company! Production time for this product is 6 business day(s); expected pickup or shipping date is 05-06-2019.